TORUK- The First Flight is the latest Cirque du Soleil show opening this Friday here in Manila. What makes it special aside from the fact that it’s the second Cirque du Soleil show here in Manila? The show is based on James Cameron’s record-breaking movie, AVATAR. Such a dream come true for me to be watching it this week. 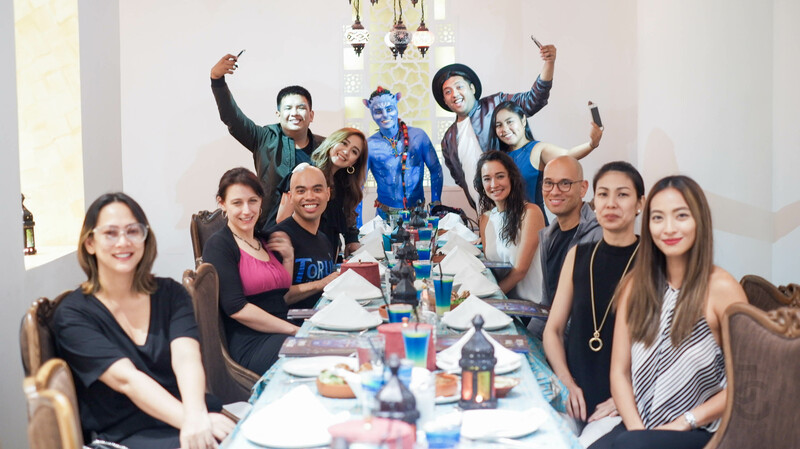 What’s even more surreal is I was invited to have an intimate dinner with some of the cast & production people behind it. 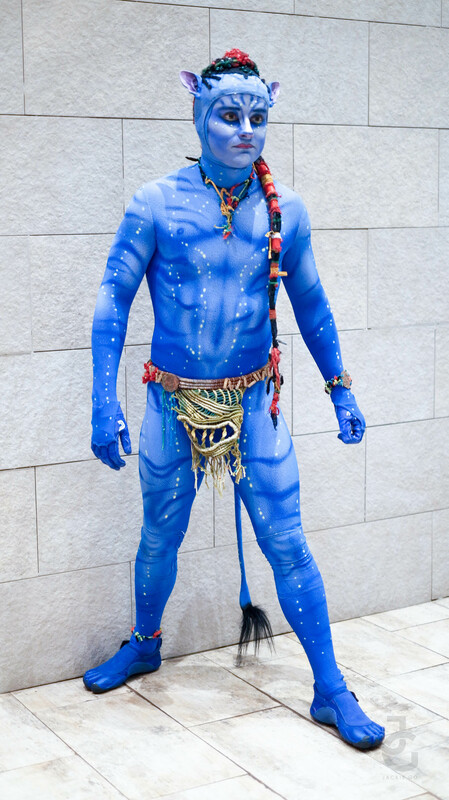 So I had dinner with a Na’vi named Entu played by Daniel Crispin. TORUK The First Flight is his first production with Cirque Du Soleil. A graduate of Australian National Institute of Circus Arts, his training stems from beach surfing, Martial Arts, figure skating and an awe of all things acrobatic! He loves teaching and has a penchant for coaching at circus school around the world. How amazing! TORUK- The First Flight transports you to the world of Pandora in a visually stunning live setting. Experience a storytelling odyssey through a new world of imagination, discovery, and possibility. 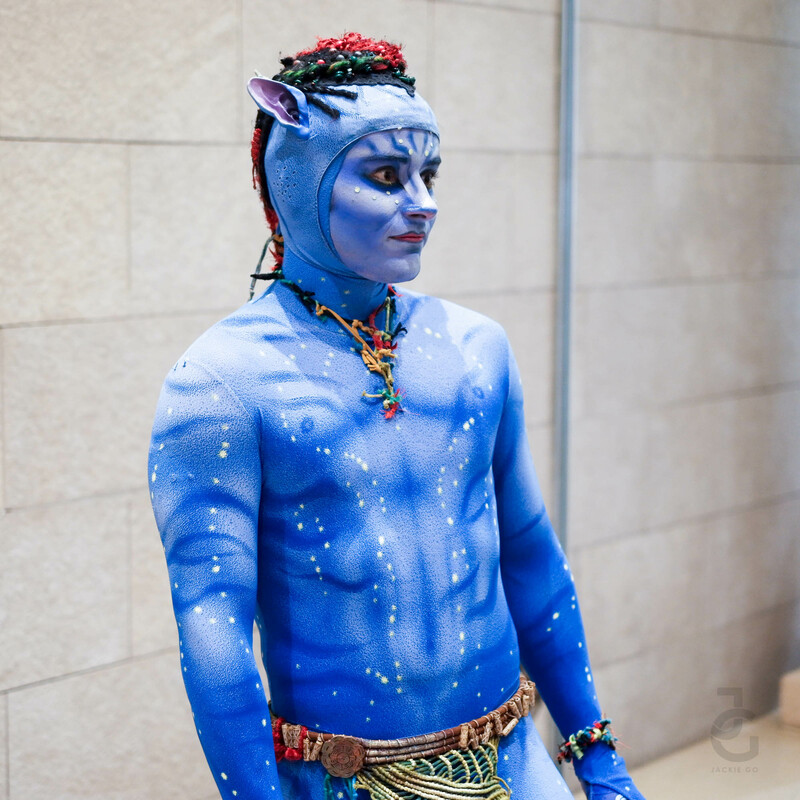 Through a riveting fusion of cutting-edge visuals, puppetry and stagecraft buoyed by a soaring cinematic score, Cirque du Soleil applies its unique signature styles to James Cameron’s imaginary world. Narrated by a Na’vi Storyteller and populated by unforgettable characters, TORUK- The First Flight is a mythical tale set thousands of years before the events depicted in the film AVATAR, and before any human ever set foot on Pandora. When a natural catastrophe threatens to destroy the sacred Tree of Souls, Ralu and Entu, two Omaticaya boys on the brink of adulthood, fearlessly decided to take the matters into their own hands. Upon learning that Truck can help them save the Tree of Souls, they set out, together with their newfound friend Tysal, on a quest high up in the Floating Mountains to find the mighty red and orange predator that rules the Pandoran sky. Prophecy is fulfilled when a pure soul rises among the clans to ride Toruk for the first time and save the Na’vi from a terrible fate. According to Daniel, they do their own make up for the show. And no matter how tired and jet lagged they are, they’ve become experts in creating their look. The first few times they’ve tried working on their faces, according to Daniel, it took him hours and few fail attempts to master his look. Now he can confidently finish his makeup in under an hour! Daniel is #makeupgoals! 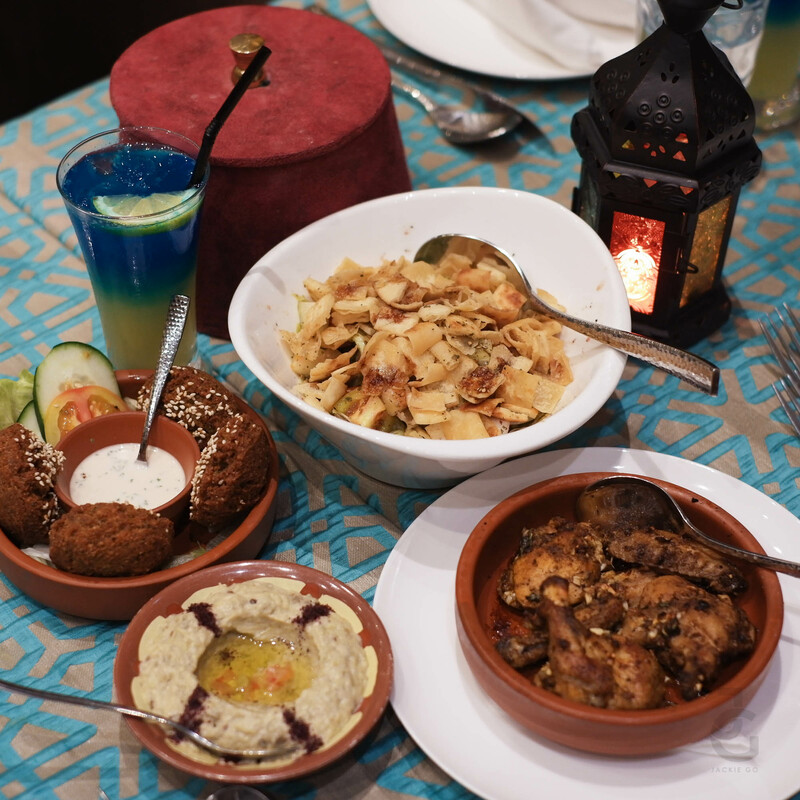 Enjoyed the Mediterranean feast we shared over dinner. Meet some of the people who made TORUK-The First Flight happen! Janie Mallet is the publicist of Cirque du Soleil. Prior to joining CDS, she worked 14 years as a journalist for the Canadian Broadcasting Corporation. In addition to hosting radio and television programs, she appeared regularly on evening news. A strong believer in the power of diversity and creativity, she is thrilled to join the elite artists and technicians from around the world and help promote their art. Rob Yaqui is the show’s puppeteer. He’s a first generation Filipino American born and raised in Minnesota. He’s interest in theatre, TV and movies fueled his desire to become a performer and he began singing at 8 years old. Having a Bachelor’s of Fine Arts in Muscial Theater Performance under his belt, Rob has performed with numerous theater/dance companies. 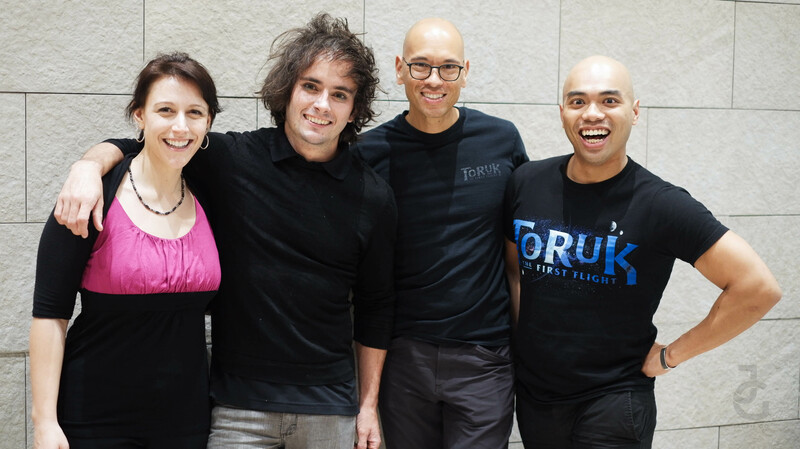 Janie Mallet is the publicist for Toruk, Daniel Crispin is an Entu Acrobat, Michael Ocampo is the Head Coach, and Rob Laqui is the Puppeteer for the show. 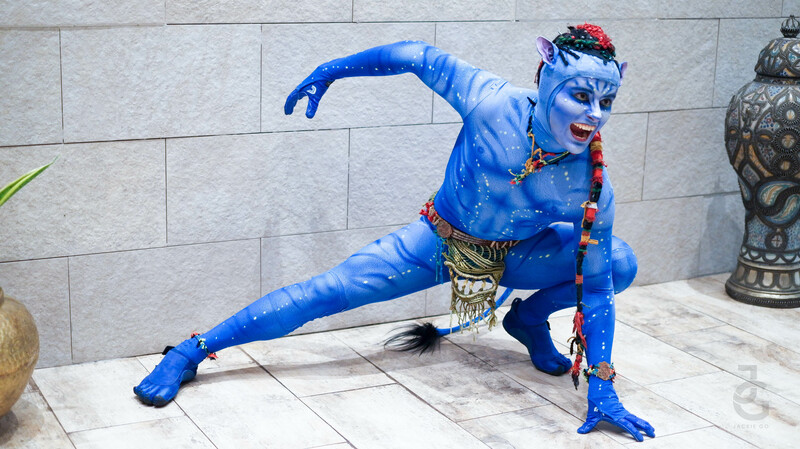 Cirque du Soleil launched it’s first-of-its-kind app for TORUK- The First Flight. Working with long-time tech partner SAP, the app will enhance the overall show experience and enable audience members to be part of the action before, during, and after the performance. This is so cool! I’ve downloaded the app and I can’t wait to use it during the show. TORUK- The First Flight is Cirque du Soleil’s 37th production since 1984. The company has brought wonder and flight to more than 155 million spectators in more than 300 cities on six continents. Cirque du Soleil has close to 4,000 employees, including 1,300 performing artists from close to 50 different countries. Ticket price ranges from Php 1,500 to Php 7,368. You can purchase your tickets through www.smtickets.com or www.cirquedusoleil.com/toruk. Watch the video to see how amazing this show is! So excited to watch it!